How do I embed a Thinglink into Sutori? How do I embed a Google Doc, Drawings, Form, Sheet, Slide or Google Map? Can I embed a file from Google Drive? What can I embed into Sutori? Can I add a link to a website? How do I embed a video from History.com? How do I embed a PDF into Sutori? How do I embed a Quizlet into Sutori? How do I embed an EDpuzzle into Sutori? How do I embed a Tweet into Sutori? 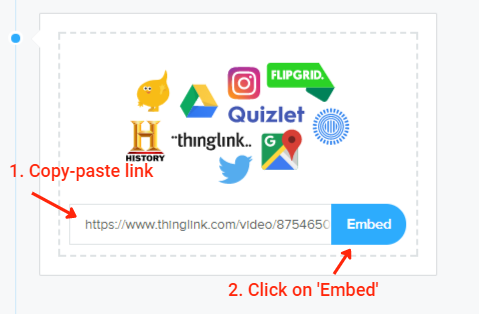 Embedding a ThingLink is as simple as copy-paste! Click on the &apos;+&apos; icon and select &apos;Embed&apos;. 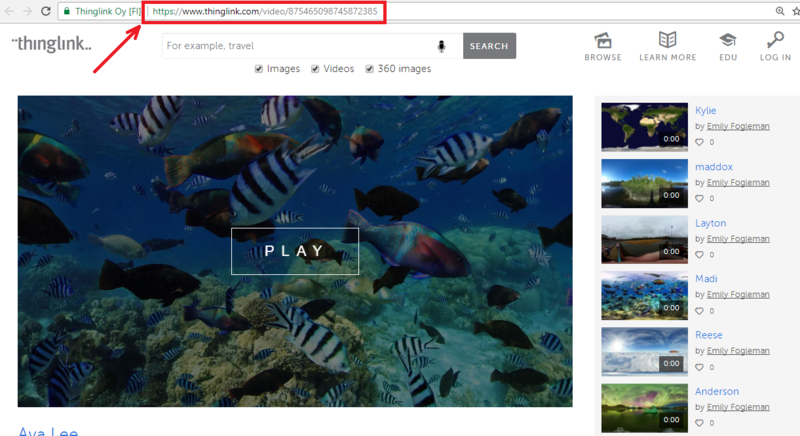 You can simply copy-paste the link from the Thinglink into the embed item on Sutori as on the screenshots below.